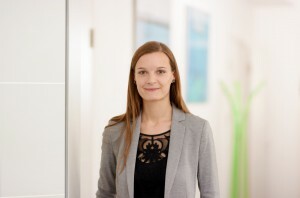 Margot Mückstein obtained a MSc in Psychology, as well as a BA in Communication Sciences at the University of Vienna, while also dabbling in Biology, Biotechnology and Electrical Engineering. During her studies, Margot worked as a research assistant at the Faculty of Psychology at the University of Vienna. For her Psychology thesis, she studied the relationship between attention and choice in consumer settings. In 2014, Margot joined Path Intelligence, a Big Data tech start up in Southern England as Data Scientist. There, she developed algorithms for location analytics based on mobile signals. Margot joined the Semantic Web Company in the summer of 2015 as a Consultant. She accompanies clients during the implementation of PoolParty, as well as in proof of concepts and other consultantcy projects.